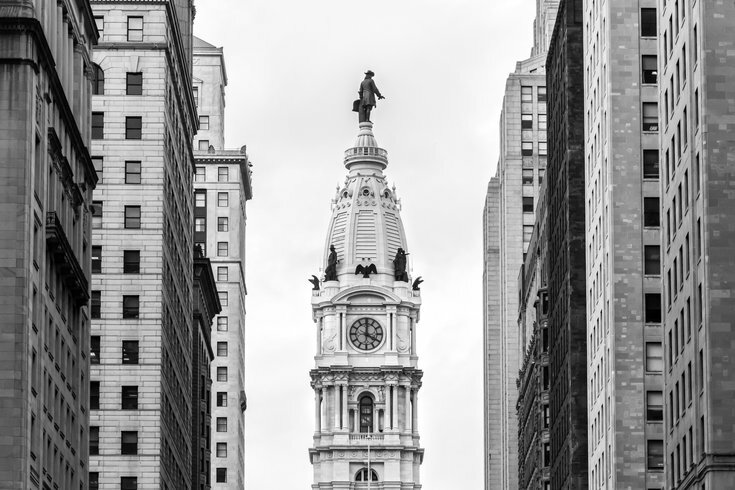 Buildings on South Broad Street frame the tower of Philadelphia's City Hall. Remember the “missing” $33 million in taxpayer money that Philadelphia has been trying to track down for quite a while? It seems the mystery has finally been solved — at least, almost. City officials have located “most” of the $33 million, leaving just $2.1 million unaccounted for as of this week, according to a report Friday from the Associated Press. Officials reportedly said the most recent discovery, a whopping $21 million, was made when examiners noticed duplicate payment entries made in different accounts, with money only being taken from one account. "The Treasurer’s Office in November decreased the unreconciled amount in the Consolidated Cash account to $2.1 million, down significantly from the October total of $23.3 million. The majority of the reduction was accomplished by identifying duplicate debt service payment entries made in 2015 and 2016. In this case, duplicate journal entries were made, but only one payment was ever processed. No funds beyond the correct amount were disbursed. Control procedures have now been instituted to detect and prevent the type of deficiency from re-occurring in the future. The outside accountants continue to work through their work plan. The City has fully reconciled all but 3 of the historically unreconciled accounts, and are on target be fully reconciled by the end of calendar year 2018." Back in May, City Controller Rebecca Rhynhart hypothesized something like this could've been what went wrong. “It could be the money was mistakenly deposited in the wrong city account,” Rhynhart said at the time, although she also wondered if the money could have been stolen. Mayor Jim Kenney at the time believed it was likely a bookkeeping issue. With the help of an outside financial firm, the AP reports, city finance officials spent the last few months examining and retabulating city ledgers dating back to 2015 in order to figure out what happened. City officials expect the full amount will be reconciled by the end of the year, according to the AP. Maybe when they're done with this case, investigators can start trying to find the Eagles' offense.